Today is the 20th of the month. Not only does this mean it’s only five days left until Christmas, but it also marks the start of my week long holiday down the coast with my family. A week relaxing by the beach and spending time with those I hold dear to my heart… Perfection! 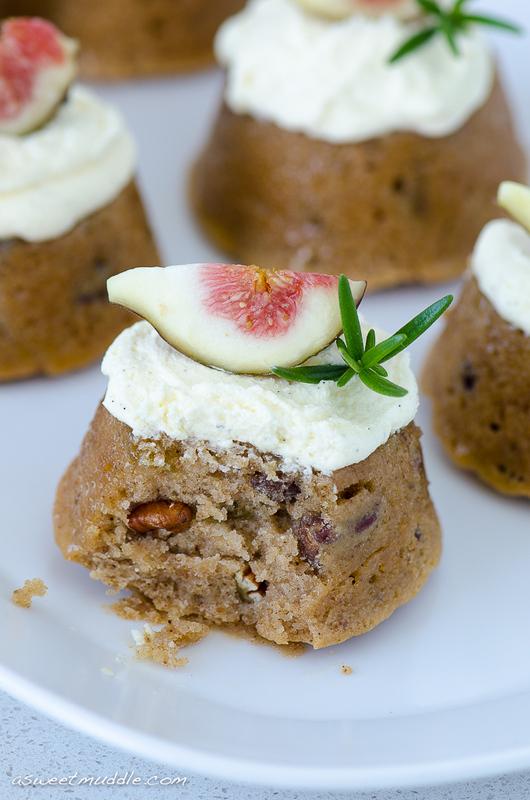 Speaking of perfection, these Buttermilk-glazed mini fig and pecan cakes from Southern Living’s The Southern Cake Book come pretty close. 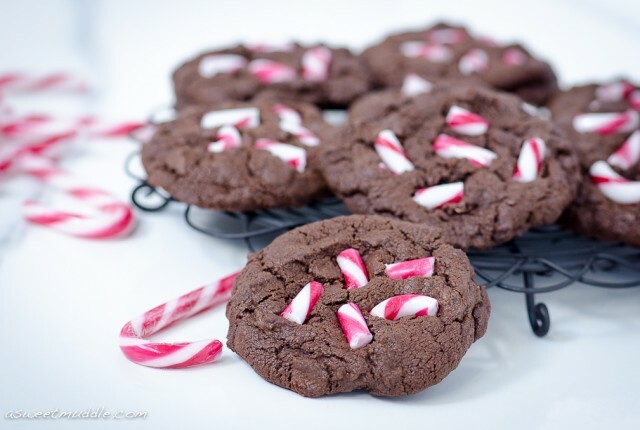 I baked a batch of these yesterday for today’s reveal for the Cake Slice Bakers’ December bake. 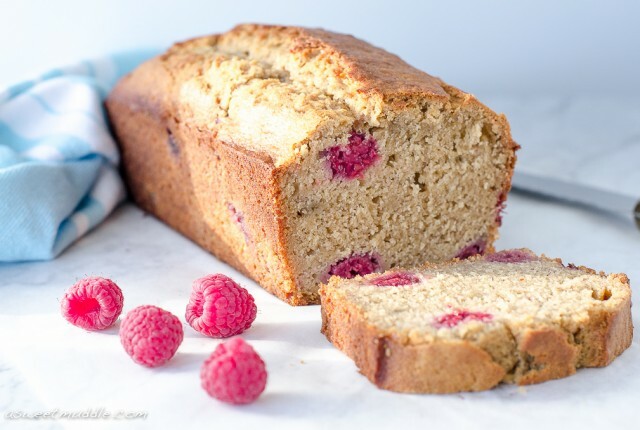 You might recall me mentioning last month that I’d joined a great bunch of bakers and every month we choose a recipe to bake from our chosen recipe book, The Southern Cake Book , and reveal the results of our efforts on the 20th of each month. 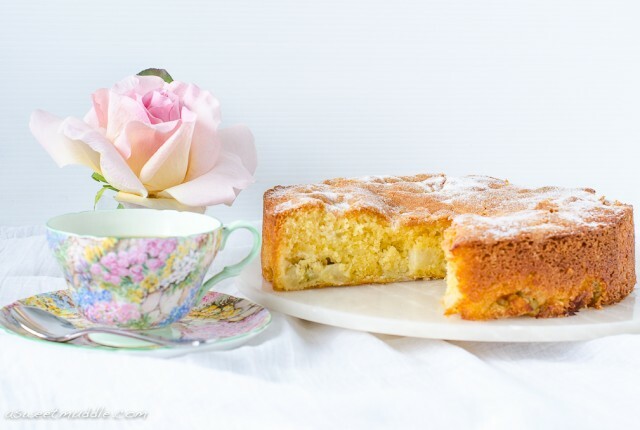 Last month’s Caramel apple coffee cake turned out really well, so I was keen to try another recipe from this collection. I got a little carried away at the grocers the other day and bought more than enough figs to make this gorgeous Fig, prosciutto and manchego salad, so with the extra figs I had left over, the choice for this month’s bake seemed obvious. 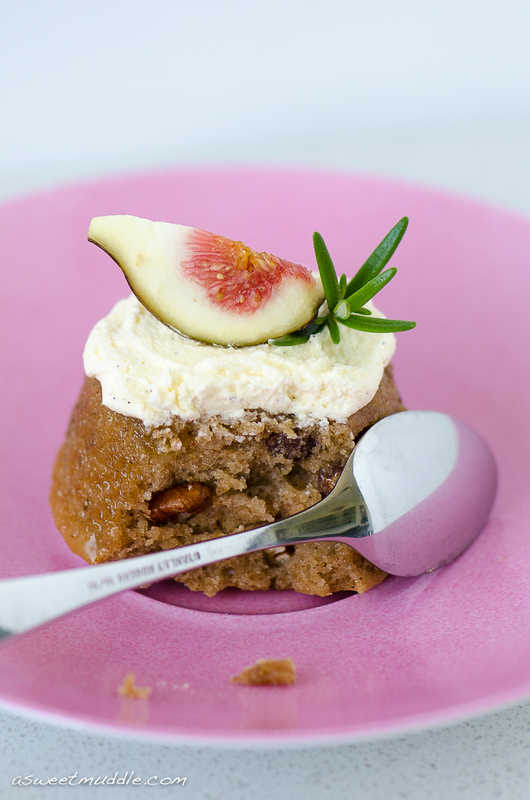 The ground spice and cinnamon in these pretty little cakes add a great kick to the flavour and really compliment the figs and pecans while the hard icing, figs and rosemary are perfect decorations for the festive season. 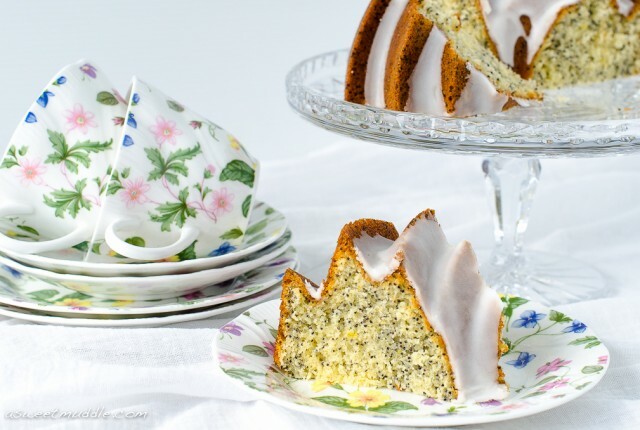 If you fancy giving these a try and don’t have your own copy of The Southern Cake Book , you can find a copy of the recipe here. 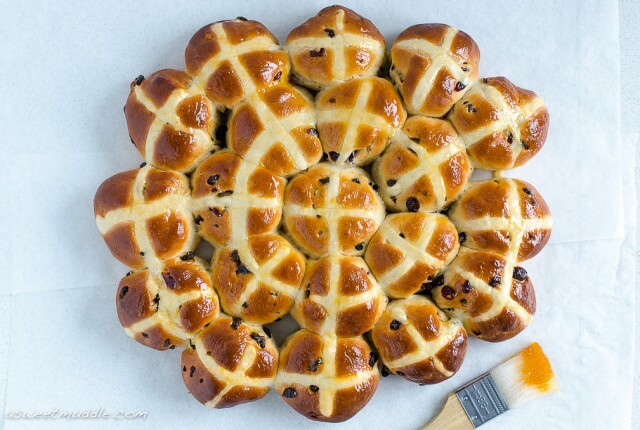 Keep in mind they’re best eaten on the day, so unless you need 20 cakes, I’d suggest halving the quantities. I also found the glaze needed a little help to spread so used a brush to apply. Enjoy. p.s. If you can spare a moment, check out what my fellow bakers have been up to this month following the links below. Your blog is absolutely delicious! 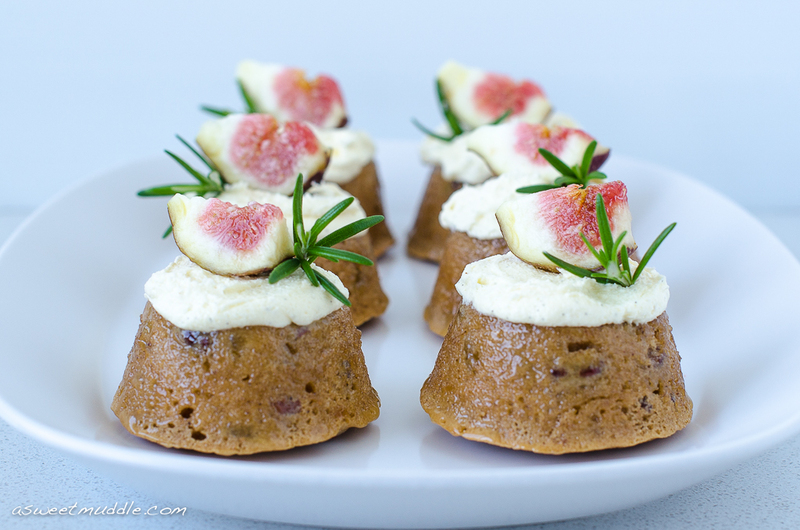 So happy you were able to use fresh figs on your mini buttermilk cakes they look amazing! Thanks Sandra, I’m so pleased you like it 🙂 I was lucky with timing that I could get my hands on some fresh figs. Their flesh do give a pretty pink finish. I hope you’re having a good start to the year. I’m looking forward to seeing what everyone bakes this month! How pretty Rachel, your photography is lovely! I’m so glad you enjoyed these little cakes. Have a brilliant New Year! These cakes are so pretty Rachel! Beautiful presentation and photography! I love them! I wish you a lovely Christmas by the beach with your loved ones!! Gorgeous, Rachel! Very gourmet indeed =) Happy Holidays by the sea! Rachel, these turned out beautiful! Love the garnish! LOVE,LOVE,LOVE your presentation! I”m so glad you loved these. They were pretty amazing! Wishing a had one laying around to enjoy while I visit everyone’s blog!